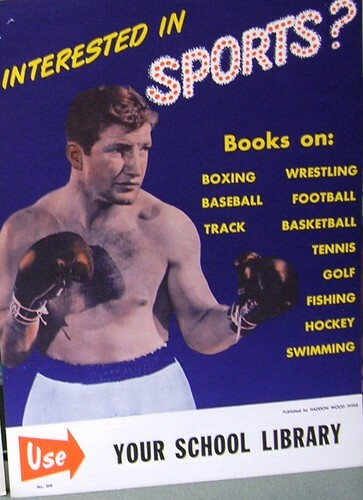 Most of the posters in this collection, like the one here, are promoting school libraries. Today, school libraries are under threat. Here in Washington, the city recently eliminated funding for school librarian positions in D.C. Public Schools with fewer than 300 students. And those with more than that 300 students, while they will still receive funding for the position, they’re not compelled to fill it. ← New Community College Completion Study Emphasizes Student Perspectives – Will Adult Education Policymakers Join the Trend?